A transmitter (Tx) and receiver (Rx) testing solution provides the speed and margins needed to meet the Peripheral Component Interconnect or PCI Express 5.0 Technology (PCIe Gen5) standard. With many 5G wireless devices reported to launch in 2019, the computer/server industry is actively working to upgrade and enhance network speed with advanced technologies such as 400G Ethernet. PCI Express 5.0 technology is required for computer servers to support the bandwidth of 400G networks, as it is the only significant input/output (I/O) interconnect that has the throughput necessary to support the 400G interface. The Keysight PCIe 5.0 receiver test solution enables the design and validation of circuits capable of tolerating significantly attenuated signals at 32 GT/sec. PCIe 5.0 utilizes aggressive equalization techniques helping the receiver restore the quality of the transmitted signal, allowing for error-free recovery of the digital information from the PCIe Tx signal. Due to these high data transfer rates, PCIe 5.0 receivers must accept a heavily degraded signal resulting from the channel’s high-frequency loss qualities, resulting in unacceptable bit error ratios (BERs). To address this, Keysight has developed the M8040A High Performance 64Gbaud BERT, enabling physical layer characterization and compliance testing, to characterize receiver performance margins on the physical layer. In addition, the increase in digital transmission speed and throughput introduce significant signal integrity challenges such as issues with connector crosstalk and receiver jitter sensitivity, driving the need for an accurate oscilloscope and receiver test solution. 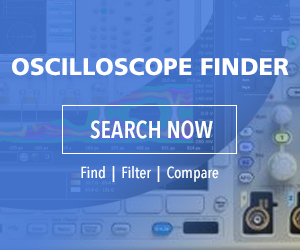 Keysight’s Infiniium UXR-Series oscilloscope provides the bandwidth and noise floor performance to maximize margins and meet the challenges presented by the PCIe 5.0 standard, with upgradeability to 110 GHz.